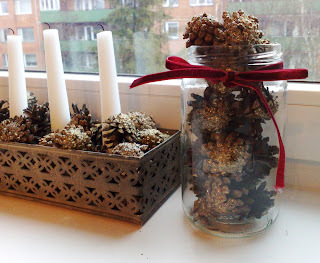 My niece-in-law and I went to gather some pine cones a while ago and some days ago I decided to glam up the pine cones with some glitter to make them a bit more festive. 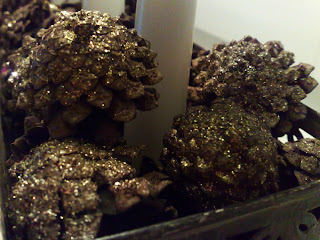 For some of the cones I used some leftovers of a gold and a silver glitter. 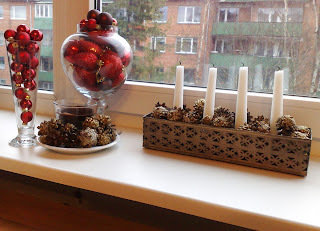 I just brushed on some glue and then sprinkled on the glitter. But as I said those two (very very pretty glitters) were only leftovers from some previous projects so for the rest I just used some golden glitter glue I had and although the glue isn't as sparkly as the leftovers I had, it did the job well enough. 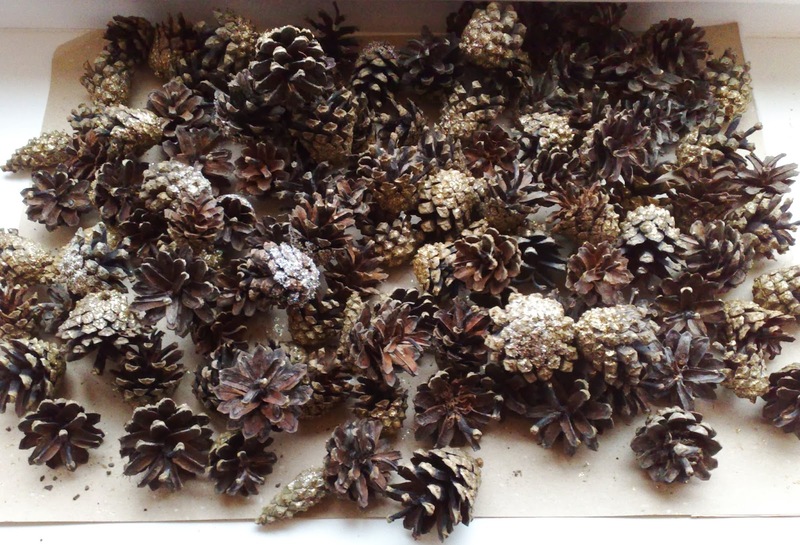 It took a while (approx 1,5 hours) to coat all of the pine cones with the glitter and I also let them dry over night just to be sure the glue has dried properly. 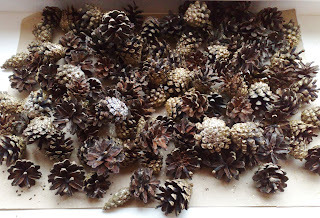 You can use these pine cones to make a garland, or decorate your candle holders or just arrange them in a vase or glass jar and put those on the windowsill. 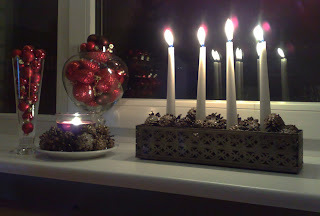 Hopefully I will get at least one more post up before it's Christmas. I can't believe it's just over a week until it's Christmas Eve, I'm so excited! PS! Be aware of fire safety if you are using pine cones as decorations around candles. They are very flammable.